February 1, 2019 – This afternoon, at around 1:10 PM, a deputy from the Nevada County Sheriff’s Office observed a subject who he believed to be Douglas MacDuff (wanted for attempted murder) traveling on Pleasant Valley Road in a white, BMW sedan. A deputy attempted to stop Mr. MacDuff, and Mr. MacDuff fled in his vehicle. Mr. MacDuff led deputies on a chase through the Rough and Ready area. 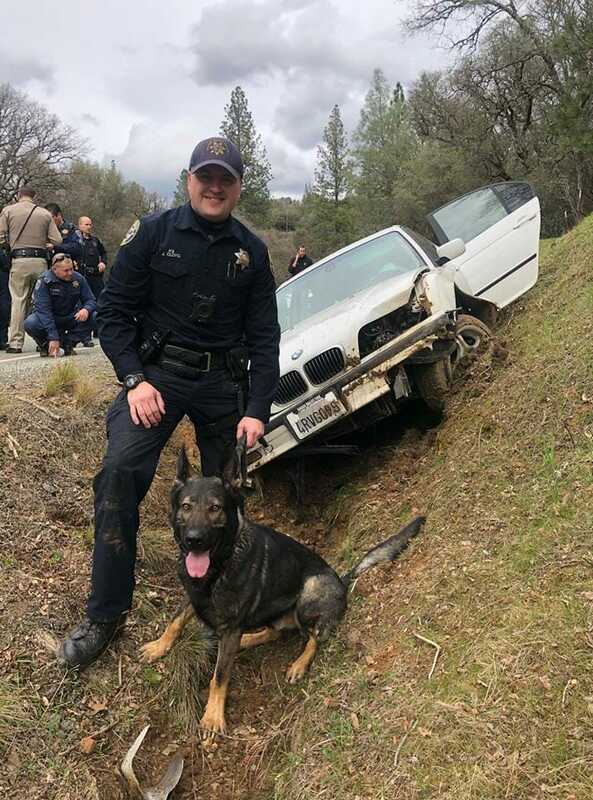 Officers from the California Highway Patrol and Grass Valley Police Department assisted the Sheriff’s Office with the pursuit. 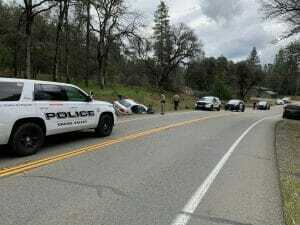 Mr. MacDuff’s vehicle was slowed by spike strips and his vehicle was ultimately involved in a single-vehicle collision near Rex Reservoir Road. Mr. MacDuff fled on foot and hid, but was apprehended without incident on a neighboring parcel. Mr. MacDuff was transported to Sierra Nevada Hospital to be checked for injuries he may have sustained in the vehicle accident. A female passenger was contacted at the accident cite and released at scene. On February 1, 2018 at approximately 1:15 pm, a Nevada County Sheriff’s Deputy observed a white BMW traveling on Pleasant Valley Road, near North San Juan, and recognized the driver as Douglas MacDuff. MacDuff was wanted in connection with an attempted homicide that occurred on 1/3/19. The Deputy attempted to conduct an enforcement stop on MacDuff and he failed to yield to the Deputy. As the pursuit was underway, the Deputy requested assistance from the California Highway Patrol, and Grass Valley Police Department. MacDuff led the pursuit southbound onto Rough and Ready Highway, through the town of Rough and Ready. At 1:25 pm, as MacDuff was attempting to negotiate a curve in the road, he ran off the east road edge and collided into a drainage ditch, disabling the BMW. MacDuff immediately ran from the BMW, leaving a female passenger inside the BMW. A perimeter was quickly established and a CHP helicopter was overhead to assist in locating MacDuff. Grass Valley Police Department was at the scene with a K-9 officer and helped locate MacDuff. MacDuff was taken into custody at 2:19 pm. The Nevada County Sheriff’s Office is the lead agency of the criminal investigation. The California Highway Patrol is investigating the collision at the termination of the pursuit. The female passenger was uninjured during the incident and was released from the scene.